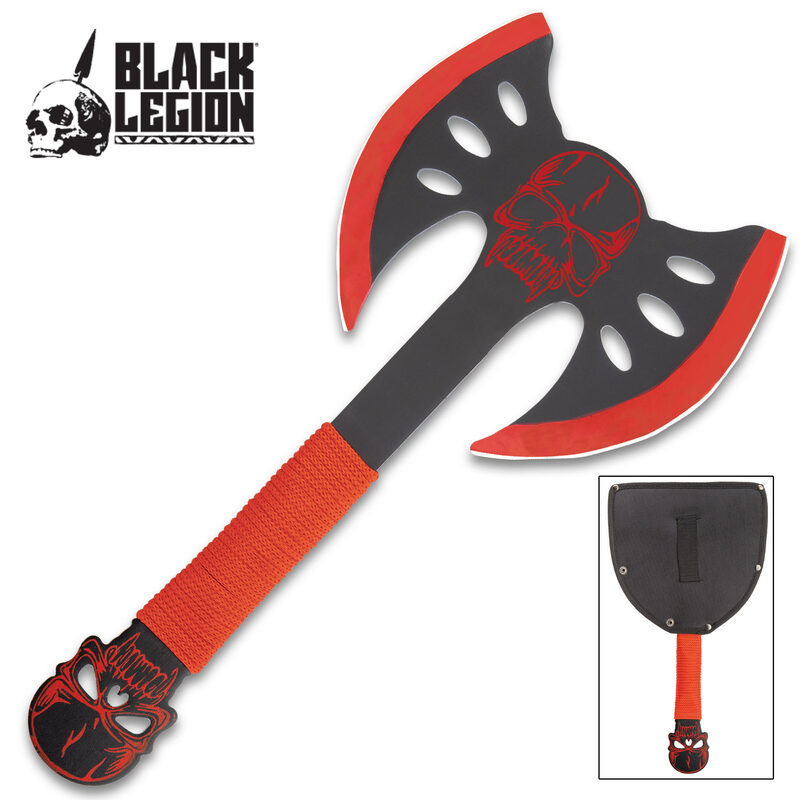 Black Legion Double Head Punisher Axe With Sheath | BUDK.com - Knives & Swords At The Lowest Prices! Everybody, meet the brand new Punisher from Black Legion! It came to punish, and punish it will, with its fierce double-head axe design. This exclusive Black Legion design offers solid stainless steel construction with dual 6" saw-style blades. 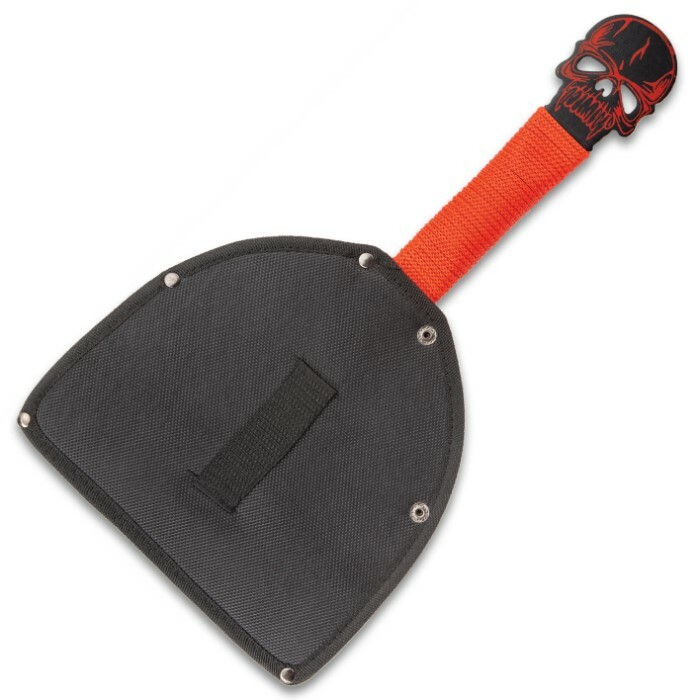 The entire axe has a non-reflective black anodized finish for a covert look and feel. 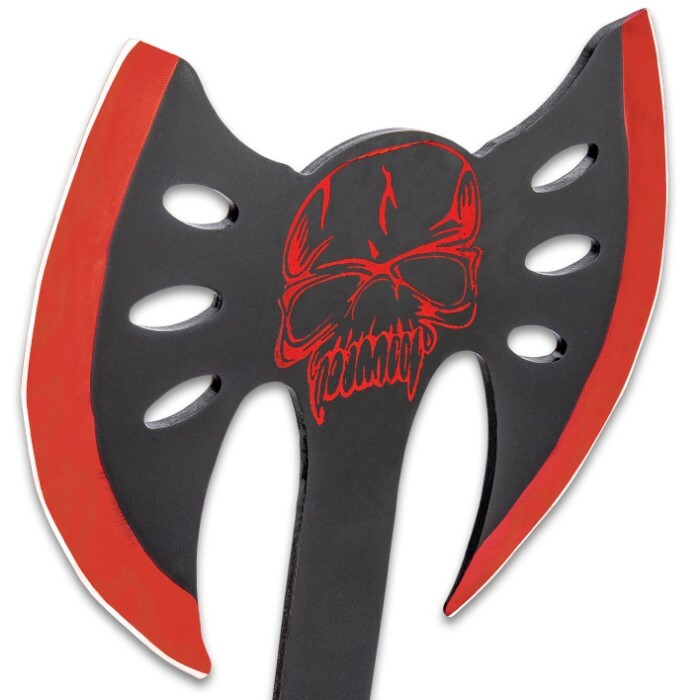 The end of the axe features a laser cut-out skull design, and the handle is wrapped in black cord. Measures 13-1/2" overall. Includes nylon blade sheath. I won't lie this does look interesting but if used in true combat it wouldn't work to well cause the spikes or what ever those are would get caught on both clothing and bone, now if they faced upwards they'd work better giving the axe blades a large saw like egde, and wold cut through the clothing and possibly bone as well.